Hello all, i`ve been searching all over the web about the original design of Ron Cobb about the " Serpent Dagger ", i owne one made by Albion and would be very interrested about the original graphic of Ron Cobb. Sorry but I've never seen that drawing, anyway it surely exist somewhere. There is a guy who claims to have like a hundred or more of pre-production drawings non ever released or seen by any other human being so maybe that collector has the original and that's why the drawing was never published. I don't know, I never saw that art sorry. Not sure, have u checked Albion or the CE DVD, maybe theres some illustrations around. I dont recall anything off hand at the moment. I try asking the folks of Albion, there really nice . 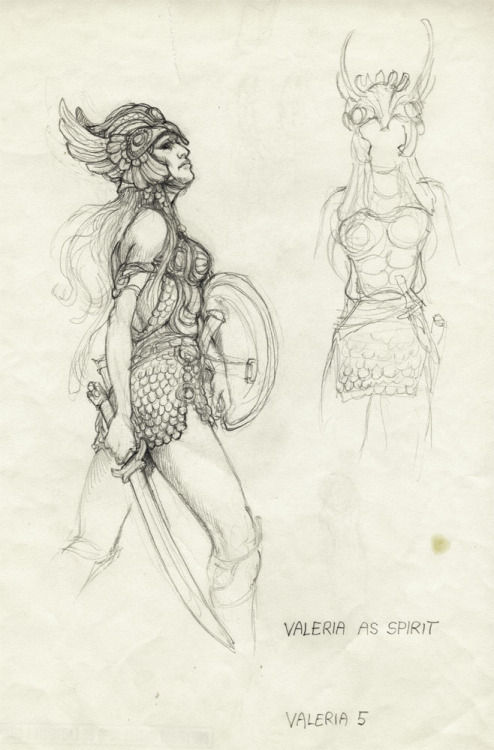 New website of Ron Cobb with new designs of Conan !